May | 2015 | Keep It Up, David! There’s nothing better than a crispy, crunchy snack. I crave potato chips (and corn chips) (and Cheetos) frequently, so I like having a way to satisfy that craving that’s actually nutritious. Enter zucchini chips. 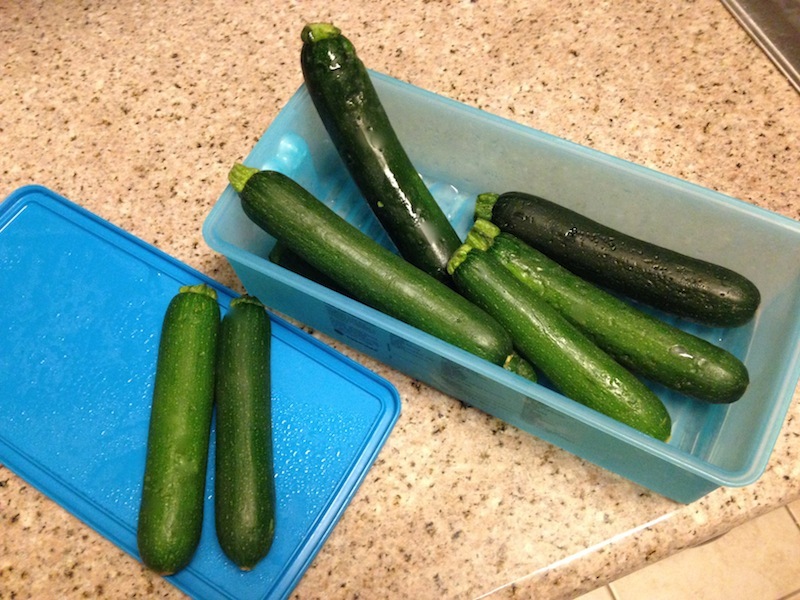 They are exactly what they sound like… and they start with zucchini. I spent four jam-packed days in New York City. While the One World Trade Center stair race was a huge deal, I had many other adventures and took photos chronicling them. There’s a lot to share, so I’m splitting them into two posts. Today’s will be about food; tomorrow’s will be about movement. Imagine that instant when something or someone truly takes your breath away. Everything freezes for a split second, and a flood of emotion saturates you. It may be awe or love, shock or sorrow, compassion or sympathy. Your lungs fill up, your eyes widen, your heart swells, and you’re stuck, nearly drowning in the power of the moment, hearing only your own heart beat. 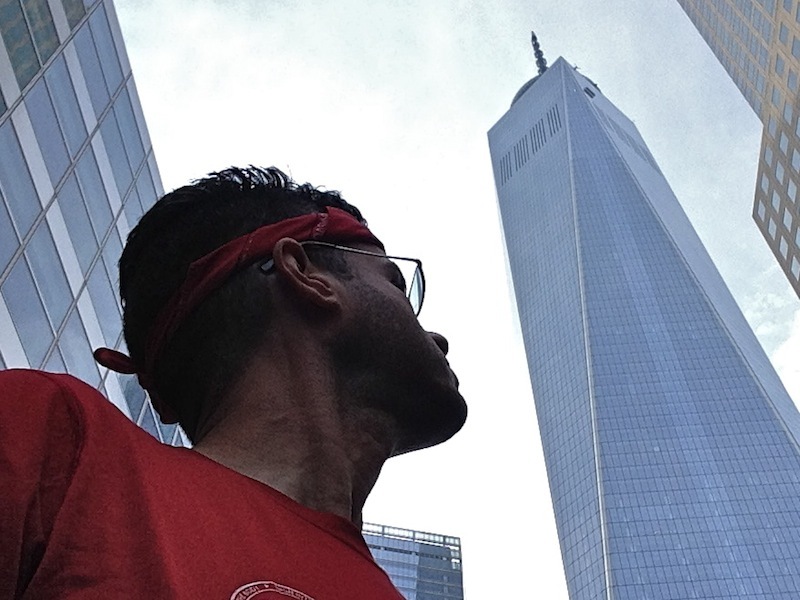 I can’t tell you how many times I was overcome like that on Sunday, when I competed in the inaugural Stephen Siller Tunnel to Towers Tower Climb. I knew going in that it would an emotional morning, but I just wasn’t prepared. 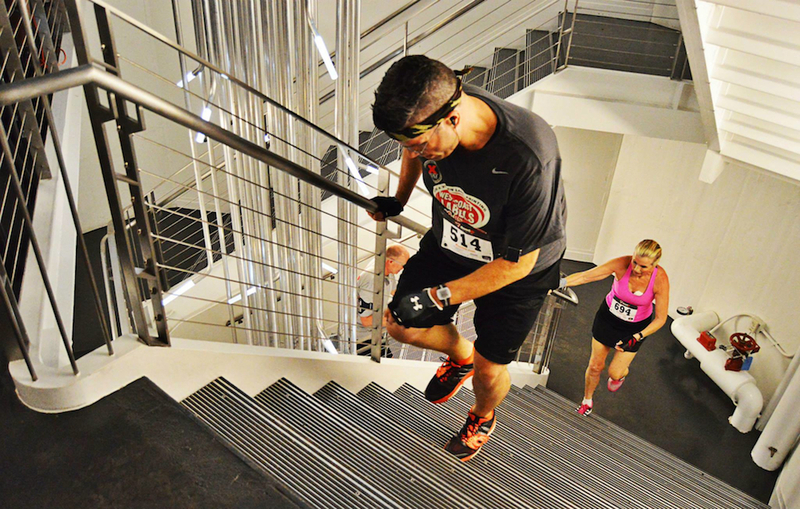 The race was up the stairs to the top of One World Trade Center in New York City, an angular, soaring structure. My next post was going to be my New York City race recap… not anymore! I got productive on the plane and wrote a post originally intended for next week. There was a huge bin of popsicle molds by the registers at the drug store. Stores place cheap, enticing items near registers to encourage impulse purchases, and boy howdy, did I fall for it. I’ve never made popsicles before, but now I could… for the low, low price of TWO DOLLARS! Sold. Quick Sidebar: How awesome is this photo? It was taken by the event photographer at the Heroes Memorial Climb in Dallas. My pal Scott was the first to show it to me, via Facebook, and I literally did a double-take, because I didn’t think it was me. But it is, just a few steps away from completing a 114-story climb. You are currently browsing the Keep It Up, David! blog archives for May, 2015.